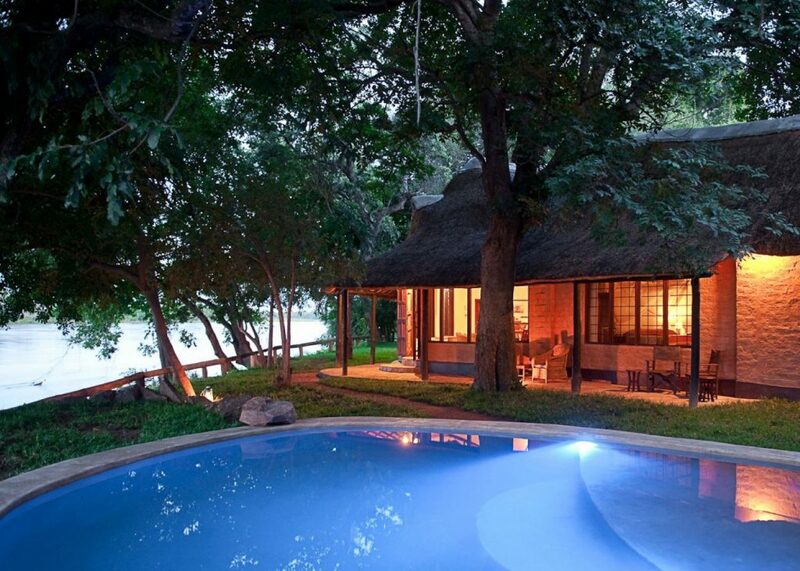 Robin’s House lies on the edge of Nkwali Camp and until recently were used by the camp owners – Robin and Jo Pope. The house is under a grove of large trees and is well shaded. The large windows allow light to flood in. There are two luxury bedrooms (a double and a triple), each with its own bathroom, and a central sitting room and dining room. All the rooms have wonderful views. There is a private kitchen and chef, along with a valet, so meals can be served where and when you like. This is particularly important for families with children. There is also a private guide and safari vehicle for the game viewing activities. 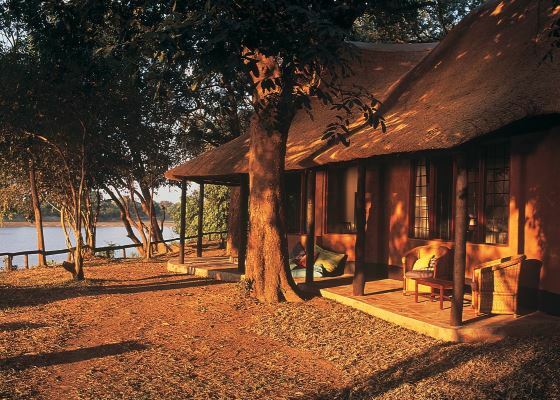 On the banks of the Luangwa River, Robin’s House sits in the shade of tall mahogany, ebony and sausage trees looking across to the South Luangwa National Park. 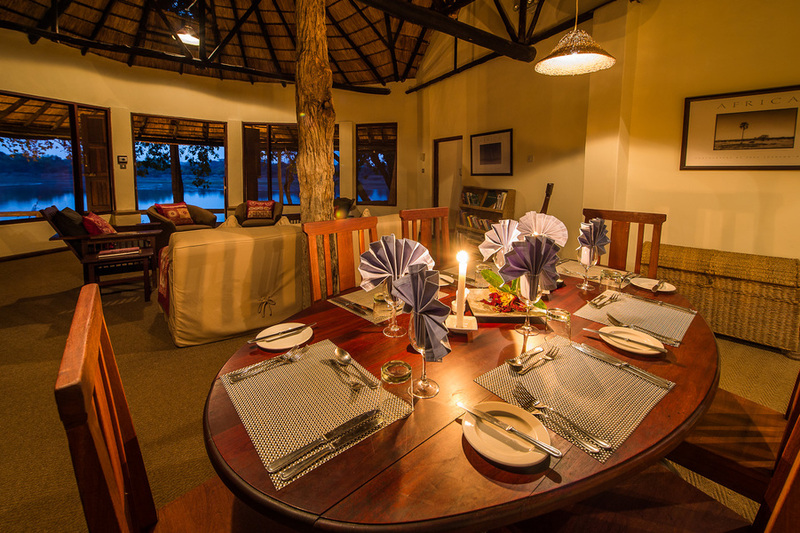 Owned and run by Robin Pope Safaris, it was originally the home of Robin and Jo Pope themselves, before it was turned into a private two-bedroom retreat for small families or two couples travelling together. Very close to Nkwali Camp, Robin’s House also lies in a game management area. It comes complete with its own kitchen, chef, valet, safari guide and private 4WD game-viewing vehicle, and is fully self-contained. Guests at Robin’s have the run of the thatched, white-washed house , at whose heart is a large central living area, with a big squashy sofa, chairs, small library of books and family-style oval dining table. To either side is a spacious bedroom, decorated in neutral cream tones enlivened by colourful bedspreads and cushions. One has a double bed, and the other has three singles, all under mosquito nets that are lowered in the evenings. Both bedrooms are en suite with a bathtub, shower, flushing toilet and handbasin. 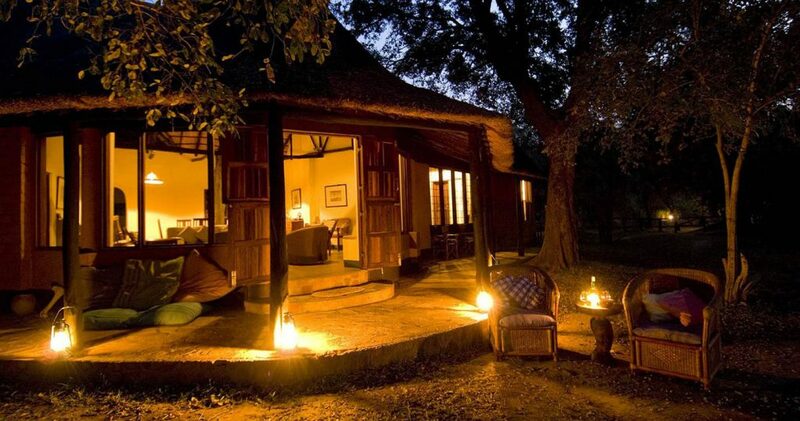 ¤ private guide and safari vehicle for the game viewing activities.